In China, people have been using natural herbs to treat a wide variety of diseases and conditions. These herbs are called herbal medicine, which are composed of roots, bark, flowers, seeds, fruits, leaves, and branches. It is well known that Traditional Chinese Medicine has over 3000 years history and Chinese herb medicine is one of most important part of Traditional Chinese Medicine which also includes acupuncture. In China, there are over 3000 different herbs that can be used for medical purposes. However, about 300 to 500 of these herbs are commonly used. In general, herbs can treat a wide variety of diseases and conditions. Comparing with chemical medicine, Chinese herbal medicine is much more gentle and safer because it is made of natural herbs. 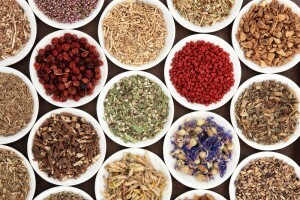 Most of Chinese herbs do not cause side effects. Even some side effects that do occur among a few herbs, those side effects can be easily counteracted with other herbs. For these reasons, people turn to herbal therapy for a number of indications. More and more people rely on Chinese herb medicine as alternative after chemical medicine failed.